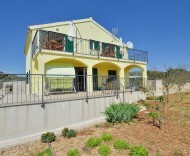 New family house with two apartments on the first floor provides an opportunity of complete rest. 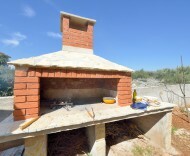 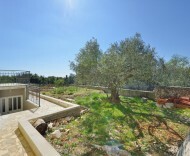 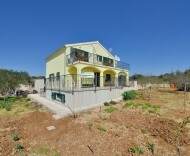 The property is secluded from neighbors, amidst olive groves and orchards, with private road access and private parking. 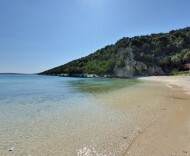 It is located five minutes walk from the beautiful bay with clear water and lovely beaches ideal for sunbathing and swimming, both for children and for adults. 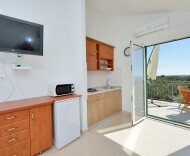 Each apartment is new, comfortable, fully equipped and consists of one bedroom, bathroom, living room with kitchen and a spacious balcony with sea view. 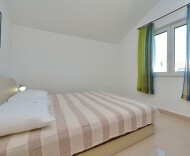 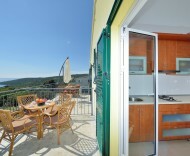 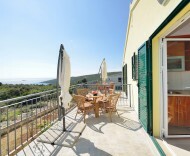 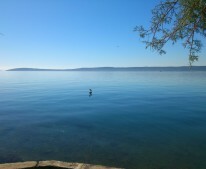 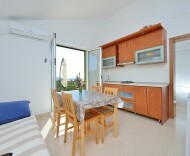 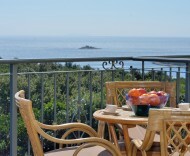 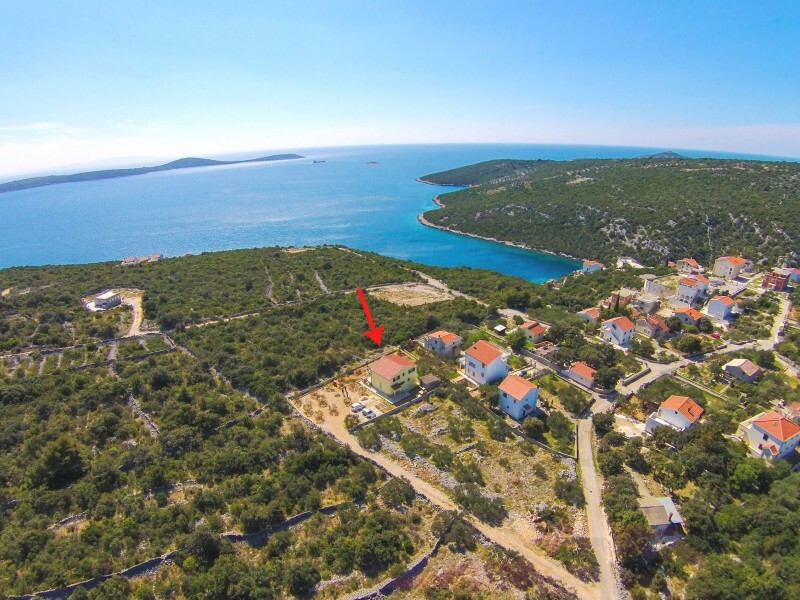 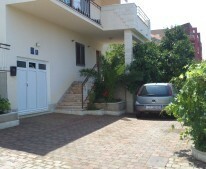 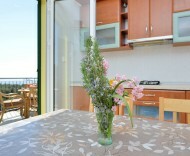 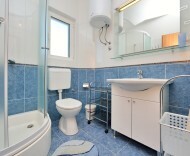 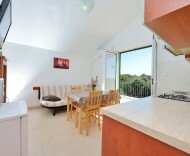 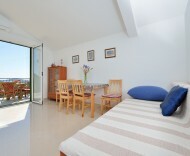 The ideal opportunity to rest in peace and privacy in a family house, with private parking, close to the beautiful bay. 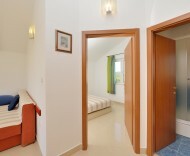 In the apartments pets are allowed. 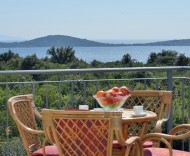 Guests are advised not to smoke in the apartments. 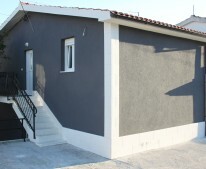 Thanks to the fact that there are no neighbors nearby, guests have the freedom to spend their holidays relaxed and cheerful. 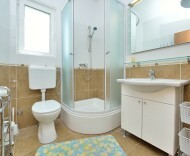 In addition, we have a full understanding of the needs of young children. 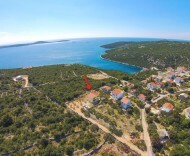 Settlement has bus connections with the nearby small town of Marina, which is located about 5 km away. 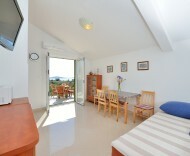 Split International Airport is about 20 km away from the apartment. 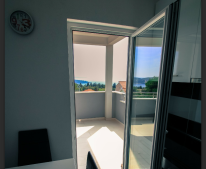 Through the tourist office in Marina is possible to arrange day trips to Trogir and Split, cities with millennial history and under the protection of UNESCO as a World Heritage Site, or to the town of Sibenik and the nearby national parks Kornati islands and river Krka.